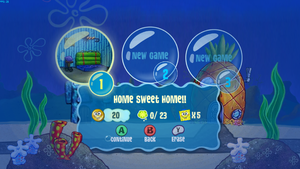 Spongebob's Truth or Square, is a video game based on the SpongeBob SquarePants episode with the same title. 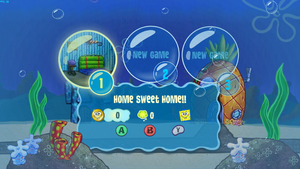 This video game is based on SpongeBob's 10th Anniversary. This is the first game developed by Heavy Iron Studios as a spun off company. 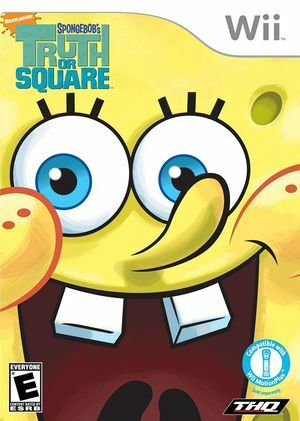 SpongeBob's Truth or Square is capable of using both GameCube controllers and Wii Remotes. If a physical controller is set to emulate both a GameCube Controller and a Wii Remote concurrently, it will operate both devices at the same time. To fix, migrate controls to use separate physical controllers. You must uncheck "Enable Speaker Data" if you are using a real Wiimote, otherwise it will likely disconnect. If you have Texture Cache set to "Fast" then some text in the game will have missing letters or words. If you have Texture Cache set to "Safe" then the text will appear as it normally would. Safe Needed to display text properly. The graph below charts the compatibility with SpongeBob's Truth or Square since Dolphin's 2.0 release, listing revisions only where a compatibility change occurred.